Today we are living in the era of information technology which has affected our lives greater than the industry revolution of the 18th century.The 21st century is referred to the IT century. Information and information technology tools have become an indispensable requirement of todays world. This course is an effort to prepare the future technologists who are equipped with the skill and knowledge needed to design and develop the IT gadgets which includes hardware, software and telecommunication. The graduates of our department are employed in MNCs like Wipro, HSBC, Infosys, PCS, Satyam, Symantec, Adobe, MBT, Oracle etc. 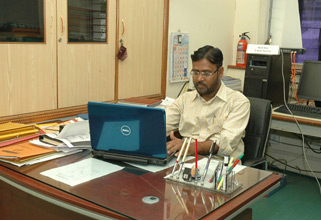 Head of Department Mr.Hashmi S.A.